“I’m planting love, joy, and accomplishment this year. What are you planting?” acquisitions editor Alice Crider wrote in a recent Facebook post. 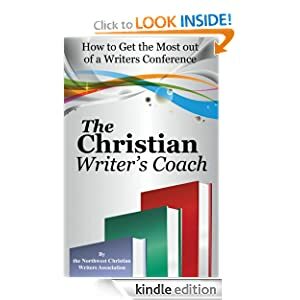 It’s a potentially life-changing question that this year’s Northwest Christian Writers Renewal may help you answer. Alice’s accomplishments include studying Communication at Regis University in Colorado, 20 years of work in the publishing industry as an agent and editor, and becoming a certified life coach through Christian Coaching Institute. Equally important and fulfilling achievements have been raising a family she loves to spend time with, organic gardening, hiking, and horseback riding. Now, the Senior Acquisitions & Development Editor of Books at David C Cook, Alice says she is “excited to be developing books that transform lives.” Her main responsibilities are acquiring women’s nonfiction, Christian living, and spiritual-growth books. In a blog* that asks the question “Why bother?” when faced with the odds of being published, Alice concluded: If you feel called to write a book, and you don’t do it, you’ll never know what could have been. The world will never know what you have to contribute if you don’t write. So follow your heart . . . Your book may reach the multitudes, or it may bless only a handful of people. Why bother? Because your heart longs to know the difference your words will make in the world. She then asks another potentially life-changing question: Are you willing to do what it takes to find out what difference you’ll make? During editorial appointments at the Renewal, Alice is looking for nonfiction projects that promote discipleship and include transformative content. These include Bible study, devotional, Christian living, marriage, parenting (specifically on parenting Generation Z), grandparenting resources, and small-group resources. She is not looking for fiction, poetry, memoir, YA, children’s books, or coloring books. Finding Your Writer’s Voice: Most writers are so focused on their message or on writing good sentences that it takes a long time to settle into their unique voice. In this workshop, we’ll explore what voice means and do some exercises to help you discover your own unique expression that will help you stand out as an author and may also help build your platform. Bring paper, pen, and/or your laptop. Writing Life-Changing Nonfiction: Has your nonfiction manuscript fallen short of the mark required to land a traditional publisher? Have you published or self-published a book that didn’t reach as much of your audience as you intended? In this workshop, we’ll talk about how to reach and engage your audience by tapping into a need they don’t even know they have. We’ll look at the characteristics of best-selling books and how you can use the same techniques. Alice will provide results-based coaching that will help you leap forward in your writing career. Bring your current project and/or new ideas with you. Don’t miss hearing Alice Crider at the 2017 Northwest Christian Writers Renewal. Sign up now!